No matter how you slice the mozzarella, Italian food demands Italian wine. Italian food deserves Italian wine. There’s no better find than an Italian restaurant where they know how to cook authentic, rustic Italian cuisine and have a good wine list to go with it. Querceto Chianti Classico Riserva is a good, solid, everyday Italian wine I see for under $20 online, so it's not a one-percenter. Tuscan Sangiovese, made for food. Here’s just a quick note about it. Medium red in the glass, the nose is rustic enough - and aromatic, too. Earthy plums dominate the aromas. I find plums on the palate as well, and that wonderful minerality comes through as strongly as the mushroom risotto. It’s very dry, with toothy tannins to boot, but it still felt quite smooth going down. As well as it paired with the rice dish, I’d have it with meatballs in a minute - sausage in a second. Every summer I encounter some really wonderful wines for warm weather. This year I’m sharing them in a series spotlighting the wines of summer. Look for them as we taste our way through the dog days. Napa Valley’s Cornerstone Cellars is better known for their Cabernet than their rosé, but their Stepping Stone line of mid-priced wines designed for “everyday consumption” features a truly memorable rosé. The Corallina will surprise those folks who don’t think a pink wine brings much to the table. The wine is a rosé of Syrah, and it’s made specifically as a rosé, not in the saignée method, in which the pink juice is a by-product of a red wine. The grapes come from Boyd Vineyard in Napa’s Oak Knoll district. 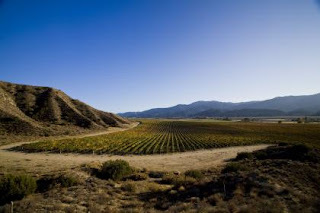 It’s a vineyard dedicated to the growing of grapes specifically for the Corallina rosé. The wine carries a 14.1% alcohol level and is bottled under a cork. Winemaker Jeff Keene says they pick the grapes early, at a lower sugar level, like they would for a white wine. Then come the whole-cluster press - three hours skin contact gives the wine the brilliant color. Stainless steel fermentation is followed by a racking to used French oak barrels. There, the wine sits on the lees for five months. Here is Keene’s video on the wine. Cornerstone Managing Partner Craig Camp supplied me with a sample of the 2011 Corallina, and he says, "With the 2007 vintage Cornerstone Cellars embarked in a new direction with acidity and balance being our cornerstones, not simple brute power. Obviously the white wines and, of course, this rosé make it to the market far more quickly than our red wines so in a very real sense these wines give you a preview of the future of all our wines.” Corallina retails for $20. The wine shows a rich and deep pink hue in the clear bottle. I get watermelon and strawberry on the nose, but not just the fruit - stems and all. That herbal element comes from the whole cluster press. In the mouth it’s dry and zippy - cranberry and apple burst forth on a river of acidity. A peppery touch of Syrah shows through, and the wine has more weight than you would expect to find in a rosé. Cranberry lasts on the finish for a good, long while. The Corallina is complex and delightful. Will it pair with salads? Sure, but winemaker Keene is right. He advises you break it out when you grill. It will go great with your summer BBQ plans. British secret agent James Bond gave the world its most famous drink order: “A martini - shaken, not stirred.” Even if you don’t like martinis, it sounds great in Sean Connery’s dulcet tones. If Bond had been a Russian, he might have asked for “Wodka - leave the bottle.” But then he would have been working the wrong side of the Cold War street, would have worn a fur hat - and we would have rooted against him. James Bond hailing from Spain or Italy would certainly have gone for bubbles, but the order might have been badly dubbed. Cava, por favor. Prosecco, si prega di. A French spy? Champagne, of course. He's licensed to chill. Bollinger has been 007's bubble of choice for years, but Dom Perignon was the thing early in the franchise. 1953, s'il vous plait. He finds the '55 Dom useful in hand-to-hand combat - in Dr. No, Bond is ready to clobber the bad doctor with that vintage until a moment of civility overtakes him. If Bond had been Canadian, he may have tried to pry state secrets from the enemy with a friendly game of Beer Hunter. Remember James, only one can of the sixer gets shaken. Germany's answer to the secret agent would no doubt have ordered Riesling - with the help of M's Riesling label decoder ring. A Japanese Bond would have... been Charlie Chan. Waiter, sake for number one son. It doesn't really matter what the drink is, though, as long as 007 can share it with a Bond Girl. Daniela Bianchi, in "From Russia With Love," fits the role just fine. TFH guru Brian Trenchard-Smith points out in his commentary that “From Russia With Love” was not only one of John F. Kennedy’s favorite books, it was the last movie he ever saw. Kennedy screened the James Bond followup to “Dr. No” the night before he left for Dallas. For this Bond film, we will go for a Cold War favorite - well, a cellar-temperature war favorite. Russian wine is not easy to come by, but it’s out there. Grapes have been cultivated for centuries in Russia, but the advent of the modern era of Russian wine was a 19th century Crimean sparkling wine factory. Much like the US had its Prohibition to stop the growth of a burgeoning wine industry, so Russia had the revolution of 1917. That’s when the French left the country and took their winemaking know-how with them. Russia now has only half the vineyard land it had during the 1980s, largely because of former Soviet head-of-state Mikhail Gorbachev’s campaign to stamp out alcoholism. One might argue that vodka is more to blame for the country's alcoholism problem, and their current leader agrees. Abrau-Durso is Russia's oldest Champagne house - why do they call it Champagne? - and the Rusky sparkler can be found online for anywhere from $10 to $50 a bottle. Shaken, Mr. bond? "Nyet." If you’re going to celebrate Bastille Day with wine, I suppose it had better be French. It was quite by chance that I happened to be sitting with a Roussanne before me on the French holiday. I was in Beverly Hills, and it was a Paso Robles Roussanne, but it still had its roots in the Rhone Valley. I mentally waved a little tricolour while I sipped. The Roussanne in question is from Vampire Vineyards. Their Roussanne provided a nice break from a rather hot afternoon in Beverly Hills. The Vampire Vineyards tasting room is on Little Santa Monica Boulevard, right across from the Peninsula Hotel. The nose has notes of tangerine, almond and oak spice. The oak makes quite a prominent play in this wine. On the palate, tangerines, peel and all, dominate the flavors. Some blues on the sound system provided an American twist to the moment. Later, also quite by chance, I found myself in the bar at the Peninsula. I figured as long as I was killing time, I might as well have a more internationally suitable wine for the day. I settled back into the plush couch with a Pascal Jolivet 2010 Sancerre, from the Loire Valley. Soils of clay, limestone and flint result in a mineral-driven nose of rocks, apples and pears. The palate is vibrant and fresh. Fruit in the form of golden apples and lemon rind are plain enough, but the minerality is in the driver's seat. The wine is vinified in stainless steel, but picks up complexity during the four to six weeks it sits on its lees. Sinatra and cool jazz waft from the ceiling while I enjoy my own private Bastille Day. When I ran into Bonny Doon Vineyard’s founder and President For Life, Randall Grahm, at the Los Angeles Rhone Rangers tasting event, he seemed baffled at the popularity of his Le Cigare Blanc. Grahm told me he never thought he’d see a “wellspring of interest in white Rhone grape varieties,” hypothesizing that it may have been connected with the Mayan calendar and the end of the world. If that’s the case, drink up. There’s not much time left to enjoy it. The grapes for this wine - 55% Roussanne and 45% Grenache Blanc - come from Beeswax Vineyard, a biodynamically-farmed plot in the Arroyo Seco AVA in Monterey County. The Bonny Doon website describes, “Surrounded on three sides by wilderness and shielded from the cool Pacific Coast winds by the Santa Lucia Mountains, Beeswax Vineyard grows complex, concentrated and mineral intensive grapes, produced from deeply rooted vines." It’s called, on the label, “white wine of the earth,” and the minerality found in it bears that out. At a breezy 12.7% abv, this wine refreshes, and won’t leave you feeling woozy on the porch. For the uninitiated, the name is taken from Bonny Doon’s flagship wine, Le Cigare Volant. It’s a reference to a cigar-shaped flying saucer reportedly seen at one time over the vineyards of Chateauneuf-du-Pape. The local government feared these aliens would damage the sacred crop, so a decree was issued banning the spaceships. It must have worked, as I don’t think the Rhone Valley has been bothered by UFOs since then. As a remembrance, Le Cigare Blanc comes bottled under a screw cap bearing the likeness of an alien. The wine shows a nice color - a light golden hue - in the glass. I smell apricots, tropical fruit, citrus and cantaloupe, with a soft vanilla note from the French oak wafting in and out. On the palate, pears and apricots are joined by a melon rind minerality. There’s the suggestion of an almond -butter-and-quince sandwich in there, too, with a savory note on the finish, which lingers long and well. The acidity is fantastic, and makes me want a pork chop, or a nice soft cheese. In my brief chat with Grahm, he explained the popularity of Le Cigare Blanc by saying, “white Rhone grapes, especially Roussanne, are fabulous food wines.” We already knew that, and - presumably - so do the aliens. West Virginia has fewer than two dozen wineries. The number eleven kept turning up in my research, but the West Virginia Department of Agriculture lists 19. They don’t list much more than that about wine or grape growing, though. 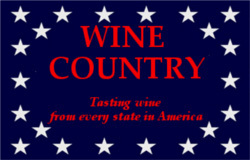 The state does, however, boast three American Viticultural Areas. The Mountain State has a piece of the Kanawha River Valley, Ohio River Valley and Shenandoah Valley AVAs. A lot of French hybrids are grown in West Virginia, due to the cold winters, but Riesling is said to be a mainstay in the northeastern part of the state. In the Potomac Highlands, the shale soil is compared with that of Germany's Mosel Valley. With about 47,000 gallons of wine produced in 2009, West Virginia comes in ahead of only Oklahoma, Maine and Montana in wine production. A big thank you goes to my friend - and West Virginia native - Jim Thornton, and his wife Sue, who were kind enough to make it their mission to find these two wines for me on a trip back to Jim’s home state. Without them, there may not have been a West Virginia page for the Wine Country series. The doctor says his blackberry and Port-style wines are his best sellers. The wine is brick red color and medium dark in the glass. Light passes through it easily, and it has the look of a delicate Pinot Noir. The nose is very intense blackberry, lots of earthy minerality. I would guess that this wine is made from Frontenac grapes, but I don't know for sure. The palate is loaded with true blackberry flavor as well, the kind one gets from eating actual blackberries. There is a fruity sweetness, but an earthy taste is quite prevalent. Fennel also shows. The wine is quite dry and has a strong tannic structure. Acidity is also high, which leads me to believe it will pair well with food. I'd imagine this to be a great match with sausage, pork or pepperoni roll. As a matter of fact, I might make the latter my first choice. Anything type of peppery or spicy meat would likely pair well. Kirkwood Winery is in Summersville, West Virginia, owned and operated by Rodney Facemire. Kirkwood is Nicholas County’s first winery, and Facemire makes wine from fruits and vegetables. There is also a mini-distillery on the premises, the Isaiah Morgan Distillery. This pink wine actually looks more orange, or salmon, in the glass. It's gorgeous to look at, with an alcohol content of 11% abv. On the nose, there's a "foxy" character that is often noticed in wines made from North American grapes. Kirkwood does make a wine from Concord grapes, but I'm told the makeup of the Royal Blush is all Katoba grapes. I have never heard of that one, and I wonder if it might be a synonym for Catawba. The foxy aroma is so overpowering, I can't determine any fruit aromas at all. On the palate, things change. There is a very intense flavor of orange peel, and a vegetal/herbal angle I can't quite figure out. While the nose did not make me want a sip, the taste of the wine is actually very interesting. Orange candy on the finish takes away the memory of the nose. As a "mountain wine" from Appalachia, it has a certain cachet. I would imagine if one is accustomed to drinking this, it's quite enjoyable. As for me, if there's a white Zinfandel nearby, I'll take that instead. Part two of the Whole Foods Summer Wine Twitter tasting event came on July 12, 2012, right when we needed a little something to keep us cool. In my part of the world, it was not only warm outside, but unusually humid, too. An opportunity to taste a few nice chillers was welcome. For an overview of the event, and the wines, check out the earlier article on Whole Foods’ Top Ten Wines for Summer here. The notes on Twitter Tasting #1 are here. This time around, we once again have two white wines and a red. There is once again a good international feel to them as well. These summer wines hail from Greece, Australia and Spain. People tweeted their thoughts on these wines from New England, Columbus, Southern California, New Jersey, Vancouver, BC and Maui, to name just a few locales. The participants tweeted about each wine in turn, and many lodged a vote for their favorite near the end of the hour. As is customary, many Whole Foods Markets from across the U.S. were hosting in-store tastings at the time. All the tweeting occurred in the hashtag #WFMwine. One of my favorite tweets came from the global wine team at Whole Foods, @WFMWineGuys: “Peloponnese locals bash their octopi on the rocks to tenderize it, then grill & pair it with this snappy sipper.” They were referring to the first wine in the lineup, which is said to pair spectacularly with calamari, bashed or otherwise. This white wine is made by Voyatzis, a winery located in the north-central part of Greece, fairly close to Albania and Macedonia and not all that far from Bulgaria. It is fashioned from 100% Moschofilero grapes, aromatic and spicy with generally good acidity. On the label, this wine is called a “New Generation Moschofilero,” but since this is my first experience with the grape, it’s possible I don’t know what I’m missing. The alcohol content is very reasonable - 11% abv - so it shouldn’t weigh us down too much. The wine gives a pale color in the glass, with a nose that’s made for a summer day. Tropical fruit and spicy aromas float over a floral base. In the mouth, the acidity is immediately noticeable. Flavors of orange peel, cantaloupe and honeydew come forward, and the acidity lasts right through the finish. There’s a great sense of minerality here, too. Whole Foods suggests pairing with seafood - Calamari Pasta specifically - or a Mahón cheese. Yalumba Winery was founded in Angaston, South Australia in by Samuel Smith in 1849. Yes, beer lovers, THAT Samuel Smith. He apparently tired of brewing and went to Australia to make wine. Its name is taken from Christobel Hill Smith, who was the hostess at the winery for 50 years. In her memory, the bird-and-flower label is placed with love. The wine is a low, low 10.5% abv, so it’s even lighter that the Greek entry. Whole Foods recommends a pairing with apple pie and cheddar cheese, which doesn’t sound bad at all. They also say Sesame-Peanut Noodles would be good with it, or Cypress Grove Humboldt Fog cheese. From the sandy, rocky soil of La Mancha comes this Jorge Ordoñez selection. If you're not well-versed in Spanish wine, find one imported by Ordoñez and you'll find a good one. La Mancha occupies a large portion of Spain’s central plateau. Any place with windmills, Manchego cheese and Tempranillo gets a star next to it my travel planner. This deep red wine smells of plums and cherries and a bit of rosemary. The palate is fleshy and ripe with dark fruit, and a dusty, rustic characteristic was the buzz of the Twitter tasting. Whole Foods says pair this with barbecue, shish kabobs, and Spanish chorizo. They cite Spanish chickpeas and chorizo as a good choice. The cheese pairing they recommend is Solé Gran Queso. My pals at Trailers From Hell have a fundraising effort underway through Kickstarter. If you like movies of the classic era - if you like the Blood Of The Vines wine and movie pairings - if you like Hollywood swag for being so generous - check out the kickstarter video here. 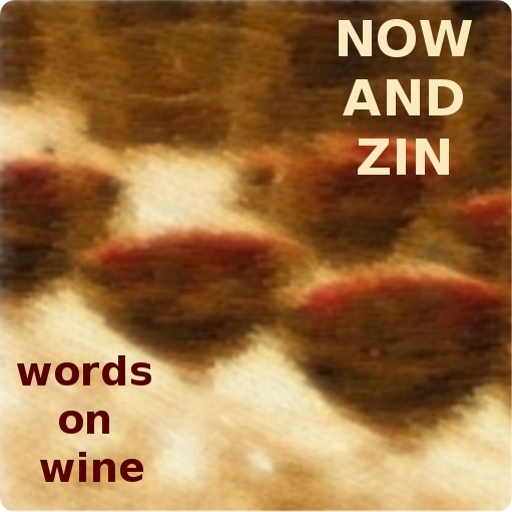 Several weeks ago, a small gathering of wine writers got together on Twitter. That’s not too unusual, considering the amount of time many of us spend there anyway. This was, however, a special virtual event designed to celebrate the wines of New York’s Finger Lakes region, specifically the wines of Mike Schnelle and Nancy Irelan. The husband/wife team are the winegrower and winemaker, respectively, of Red Tail Ridge Winery on Seneca Lake. The idea was, we would each receive a shipment of wines to taste and tweet about through the magic of social media. Some of us found that the delivery service had trouble getting the wines to us in time, but I already had a bit of experience with the Red Tail Ridge wines. I had met Irelan at a wine tasting event in Los Angeles earlier in the year. Red Tail Ridge, I discovered while tweeting, is the first LEED Gold certified green winery in New York state. The steps they have taken to leave a smaller footprint has reduced the winery’s energy consumption by over 50 percent. There were plenty participants in the Twitter tasting making comments about the orange peel they were enjoying on the RTR Dry Riesling, the pairability of the Semi-Dry Riesling and the spicy, leathery notes on the Pinot Noir. I found the wines of Red Tail Ridge to be outstanding, and a very good indication that the Finger Lakes region is bringing a lot more than Riesling to the table. Here are my notes on the wines kindly provided by Red Tail Ridge. This estate-grown Pinot was hailed by the Twitter tasting group for its fruit and earthiness as well as its notes of leather and spice. It is very light in color - quite a pretty violet hue - and you can see right through it in the glass. Aromas of raspberry and cherry are framed in a beautiful earthiness. The palate shows great fruit, with only a hint of tartness - but that mineral-laden earth shows up here, too. That’s a real grabber for me. I also like a wine with good acidity, which is present in this Pinot as well. The tannins are not terribly assertive, and that’s how I like them in a Pinot. The minerals last into the finish with a bit of citrus in the background. It’s unusual to run across Blaufränkisch and Dornfelder grapes outside of Europe. That’s no doubt why Red Tail Ridge makes these two wines under the Obscure Red Varietal Series banner. The Blaufränkisch comes in a Cabernet-style bottle, while the Dornfelder is packaged in a Pinot Noir-style bottle. The Blaufränkisch grape is quite popular in Central and Eastern Europe, but it certainly qualifies as an obscure grape in the United States. This wine is 12% abv, and is aged in older American oak barrels. The nose smells mainly of spiced cherries - quite aromatic, with an herbal note and a floral aspect, as well as a trace of earth and minerals. It’s really a beautiful bouquet. On the palate, spices are at play with cherries. There’s a racy acidity and a forceful tannic structure giving this wine great backbone. The medium mouthfeel and the acidity work together to make it a refreshing sip. This non-vintage novelty is a blend of the winery’s 2009 and 2010 vintages. The wine is estate grown, aged in older French oak barrels and carries a 12% abv number. The Dornfelder grape is quite popular in Germany. It was created in 1955 by grape breeder August Herold, but it was not made available for cultivation and use in German wine until 1979. The vines on the Red Tail Ridge property were planted in 2007. Aromas of cherries and blackberries mix with a green floral component, but the nose is not as spicy or aromatic as the Blaufränkisch. Wonderful fruit shows on the palate, mainly black cherry and plum. The acidity is nice and refreshing while the tannins are perky, but neither element is as pronounced as in the Blaufränkisch. The semi-dry is estate grown, from RTR Vineyard. The wine is fermented in stainless steel with no malolactic fermentation and carries an alcohol content of 12% abv. It's pale in the glass, with a nice, aromatic nose showing tons of peaches and tropical fruit. There is also the slightest aroma of petrol. It is full in the mouth, despite the lack of oak and malolactic. The sweetness is there, but a tart fruit flavor follows it up and a limeade acidity carries through on the finish. I get a hint of petrol on the finish, too. It makes me want some Thai food, or a spicy Italian sausage to pair with it. This Riesling is also fermented in stainless steel with no malolactic fermentation. The alcohol content is also a low 12% abv. On the nose, this pale wine shows a bit more minerality than the semi-dry. A beautiful slate aroma paves the way for the peaches and nectarines, with a nutty hint following. The palate on this dry Riesling shows plenty of citrus and zesty flavors along with a wet rock minerality. The acidity is brisk and it imparts a refreshing quality to the sip. I'd love it with some crab, or even just mixed greens. A good wine for the warm summer months has to be light, can't be weighted down with oak and should provide some nice acidity to make it a refreshing quaff. All three bills are filled with the Gary Farrell Sauvignon Blanc from Redwood Ranch Vineyard. As a post script, we always hope for a bit of complexity as well, and this wine provides that, too. The Gary Farrell winery is in the Russian River Valley - home to moody grapes like Pinot Noir, notably. The winery reaches out to nearby Alexander Valley for these grapes. Jim and Gayle Reed's Redwood Ranch Vineyard is located in the southern reaches of that AVA. The vines from which this fruit comes are panted in sandy loam soil and normally enjoy a nice hot summer. 2010, however, was a cool vintage in the Alexander Valley, so expect an aromatic wine. The winery believes this to be age-worthy in their Burgundian style. The wine has an alcohol level of 14.1% - not exactly Burgundian, and not exactly what one might expect from the supposedly less ripe fruit of a cool vintage. This may go to show what passes for "cool" in the Alexander Valley. It's a full varietal wine, 100% Sauvignon Blanc, and retails for $25. I received a sample for review. This wine gives a medium-pale straw color in the glass. The nose is rich with fruit - peaches, pears, apricots, cantaloupe - with a slight hint of oak spice. There are no grassy aromas to speak of, which would make one think "old-world," if it weren't for the alcohol level. In the mouth, it's medium-full bodied, but still on the lighter side. The palate shows apricot and nectarine, fresh and ripe. There is an intriguing earthiness, too. This is a fairly complex white wine that's bursting with fruit. The acidity is pretty good in the mouth, but it really shows itself well on the finish. The tech sheet only cops to "a short time in oak," and I'd say that sounds about right. The oak is barely noticeable, and the light spices resulting from it are welcome. I'd pair this wine with seafood and a caprese salad in a heartbeat. The folks at Gary Farrell make a lot of noise about their Burgundian style, and this wine bears that out. It's not really a "new world" Sauvignon Blanc, even though the ripeness - from a cool, damp vintage - is outstanding and the earthy quality really strikes a good chord for me. I love Sauvignon Blanc, and this one is a favorite of mine already.